This company was founded by Frederick Simms who had made important contributions to the start of the British motor industry. 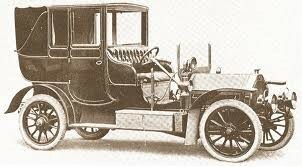 The first Simms cars had a 3 1/2hp single-cylinder engine of own manufacture, single chain drive and an aluminium body. It was a one off and probably no further manufacture took place at the Bermondsey premises, though engines were supplied to other firms. The company moved away from London and in 1903 Frederick Simms set up new premises at Kilburn in North London, where he was able to make complete cars. They had 2-cylinder engines of 10 and 12hp and 4-cylinder engines of 20/24 or 30/35hp, conventional chassis and shaft drive. The model name was Welbeck and they were sometimes known as Simms-Welbecks. Some 1905 models were equipped with pneumatic bumpers which did not improve the car's appearance, but enabled them to escape unscathed from quite serious accidents. In 1907 a 30/35hp 6-cylinder car was introduced, but manufacture was suspended the following year so that the company could concentrate on magnetos which became their principal business.